We rely on donations from individuals, families, foundations and corporations to help fund our programs. Thank you to all that have supported us. There are many ways that you can give to Fieldstone Farm. Below are just a few you may consider. If you have any questions, please contact Maureen Foster, Chief Development Officer, at 440-708-0013, ext. 123. General Donations – Donations of any amount are always welcome. Your generosity helps us to continue to provide quality services to our clients. Donations can be made online by clicking the “Donate” button below. Or mail a check to Fieldstone Farm, 16497 Snyder Road, Chagrin Falls, Ohio 44023. 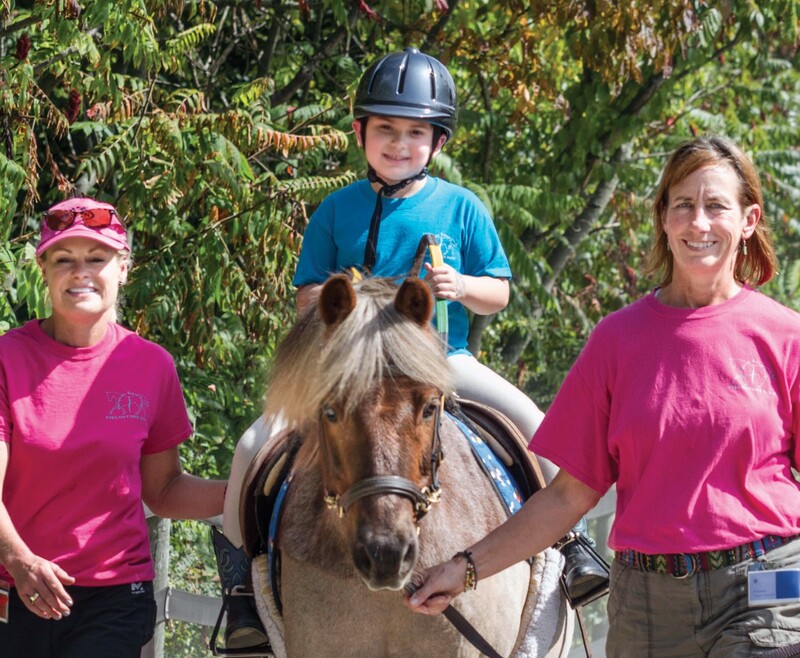 Sponsor a student – Our Ridership Program is our largest and most established fund at Fieldstone Farm. Gifts not only subsidize all lessons, they also provide additional financial assistance to families and schools unable to afford the subsidized tuition. 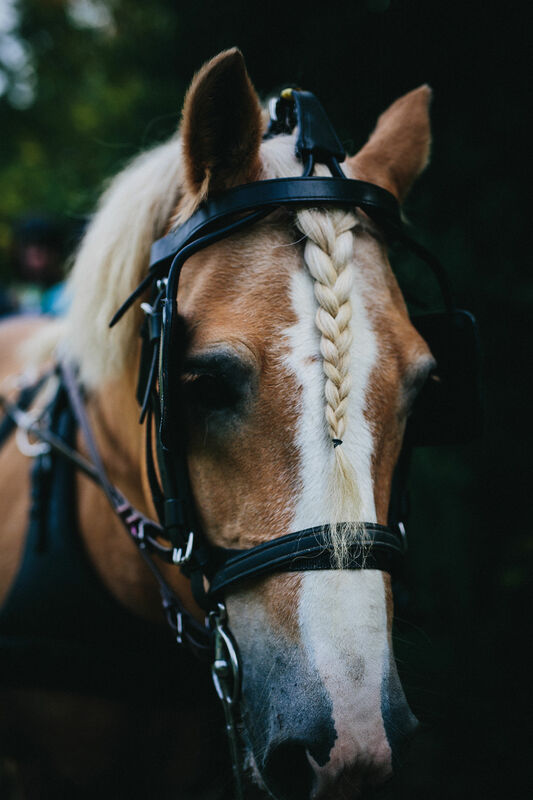 The majority of our students would not be able to experience the therapeutic benefits of our horses without this support. Sponsor a therapy horse – Our 36 therapy horses are the backbone of our programming. Horse sponsors help fund the cost of horse care including feed, hay, farrier and veterinarian expenses. The cost to care for one horse is estimated $3,900 per horse. Donors may fund a year, or any portion of a year. Chefs Unbridled – Each year we host our one major fundraiser in the fall. Donors can sponsor the event, purchase a table for guests or purchase individual tickets. This year’s Chefs Unbridled is slated for Saturday, Sept. 7 at the beautiful grounds of the Gates Mills Hunt Club with Cleveland top chefs led by Scott Kuhn and Chris Hodgson. Click here for more information. Endowment – Contributions to our endowment fund help us to secure the long-term sustainability of Fieldstone Farm. To donate click donate below and to learn more about this program, please click here. Planned Giving – Charitable contributions are planned with a donor’s tax accountant, estate attorney and/or financial planner and will benefit Fieldstone Farm now or sometime in the future. A gift may be made as a bequest in your will. You can give in many ways, including cash, securities, designation in your will or life insurance policy, or tangible personal property. Fieldstone Farm can be named as a beneficiary on your IRA, in your will or on your life insurance policy. Gifts of retirement assets, low cost basis stock and life insurance policies can have favorable tax implications for the donor and have a significant impact on Fieldstone Farm. Contact the Chief Development Officer for more information at 440-708-0013, ext. 123. Donate Stock – Contact the Chief Development Officer at 440-708-0013, ext. 123 for delivery instructions. Donate Tack – All tack that is donated to Fieldstone Farm is either used in our program or is sold during our annual Tack Sale each spring. We accept donations of gently used items at our offices between the hours of 9 a.m. and 4 p.m. Monday through Thursday, and 9 a.m. to 3 p.m Fridays. This year our Tack Sale will be held at Fieldstone Farm April 26 and April 27. Come shop and support the farm! Click here for more information and pictures of some of this year’s available tack. Wish List Items – To view our current Wish List, click here. Volunteer – We have many ways in which you can volunteer. Click here to learn more.